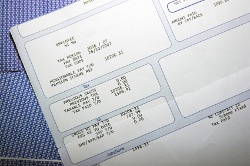 Let’s be honest – payroll is a major headache, but it’s one of the most important aspects of your business’ back-office operations. It’s time consuming, it’s complicated, and it grows along with the size of your employee base. That’s why an increasing number of small and mid-sized businesses outsource their payroll services to Accounting Management Advisors, a highly-qualified Palm Beach CPA firm with extensive experience in every facet of payroll processing. In addition to ensuring that your employees’ paychecks are correct and on time, we’ll be certain that your business is always in compliance with local, state, and federal regulations and that your payroll taxes are accurate. We’d like an opportunity to talk with you about your payroll needs and how we can help. Please give Accounting Management Advisors a call at (561) 357-8885 for a complimentary consultation.